I typically avoid abridged books (condensed, edited or simplified versions of classic literature) because too much of what makes a classic enjoyable in the first place is removed – eloquent writing, beautiful imagery, profound metaphors. Plot alone does not make a classic; as every good writer knows, all the elements of literature – plot, character, setting, theme, figurative language – work together to produce a harmonizing work of art. Reading an abridged classic is akin to plunking out the melody of the Hallelujah chorus on the piano with one finger. The effect is just not the same. Unfortunately, some classics contain archaic language, the unfamiliarity of which renders them more or less inaccessible to today’s reader. (As a side note, even university students rely on footnotes to understand Shakespeare.) Thus the reason why many Victorian novels have fallen into obscurity. I have even abandoned reading a couple myself for this blog. If a talented writer could carefully and respectfully edit an obscure classic, to make it comprehensible for today’s reader, while still maintaining the original style, charm, and richness, that would be ideal. Michael Phillips has done this with The Fisherman’s Lady by George MacDonald, originally titled Malcolm and published in 1875. In the original text, the characters speak Scots, making much of the dialogue incomprehensible to modern-day readers (see an example here). 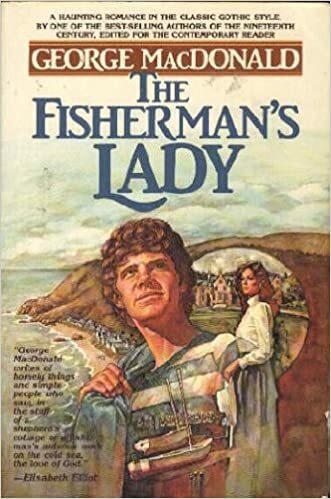 Phillips desired to stay as true to MacDonald’s original work as possible, aiming to retain for the 20th century reader (The Fisherman’s Lady was published in 1982) the style, tone, themes and language which first drew him to MacDonald and inspired him to resurrect his works so that others could enjoy them too. The result is a suspenseful gothic tale set in the rustic countryside of Scotland, peopled with a range of noble and evil characters. Some scenes are quite humourous and memorable, and throughout the book you can see foreshadowing of C. S. Lewis’ thoughts in the dialogue and themes (C. S. Lewis said that he never wrote a book in which he did not quote George MacDonald). Malcolm is the ideal Christian man in The Fisherman’s Lady, the Victorian exemplar of the noble gentleman, a man who strives to be the picture of Christ – always serving others, putting himself last, acting humbly, seeking to please God above all else, no matter the cost to his life or his reputation – in a word, chivalrous (a term that has unfortunately become soured). The Victorian theme of station and class pervades the novel, but it is juxtaposed with Biblical teachings such as wealth being an obstacle for salvation, the equality of the rich and poor in God’s eyes, and God’s prioritizing of the heart rather than the appearance. Pleasing God is Malcolm’s preeminent ambition, and so when he seeks advice from Miss Horn upon being wrongly accused of a wicked act and she says “Who wouldn’t rather be accused of all the sins of the Commandments than to be guilty of one of them?”, Malcolm immediately accedes the truth of this statement and bothers himself little more about the scandalous gossip. Malcolm also takes the teaching about being obedient and submissive to one’s master very seriously, seeking to honour the Marquis, his employer, even though the Marquis himself does not always act honourably and honestly. Malcolm answers first and foremost to God. And he shares the truth about Christ and his coming kingdom with others from a variety of places on their spiritual journeys, resulting in rich, interesting theological ideas and questions being parried about between the characters in their conversations. Malcolm is also quite witty and playful in his speech, and that delight combined with the mystery of his birth and the intrigue of the horrific “wizard’s chamber” make this tale a thoroughly enjoyable, unputdownable read, brimming with potential for a great Christian movie, if anyone’s listening. Read a review of George MacDonald’s Phantastes, a totally different kind of novel. North and South begins as a novel of contrasts, as its title portends. The North is the new, progressive industrial sector of society, while the South is the old, aristocratic, land-based gentry. The North is urban, bustling, grimy and noisy with the grinding of machinery, while the South is rural, slow-paced, cultured, pristine and quiet. John Thornton, a successful factory owner in the busy manufacturing town of Milton, represents the North, and Margaret Hale, a parson’s daughter from the naturally beautiful village of Helston, symbolizes the cultured, intellectual South. Other characters fall on either side of this North and South divide, and some straddle the middle. Each side has its pathetic and shallow characters (Fanny from the North and Esther from the South) and its noble ones (Higgins from the North and Mr. Bell from the South), Thornton and Margaret being the most admirable of all, as the hero and heroine. The divisions arise from many factors (economic, social, technological) which would take a proper history lesson to explain, but suffice it to say that England’s societal fabric at this time was changing and Gaskell was seeking to dramatize and perhaps reconcile the above hostile segments of society in her novel. The hope of the classes reconciling, in North and South, depends on the hero and heroine’s ability to resolve their differences and fall in love, and to fall in love Thornton and Margaret need to overcome their prejudice and learn to understand each other – likewise with the clashing classes, North and South and master and hand. If only they really understood each other, if only they took the time to get to know each other, the rift could turn into a bridgeable gap. Thornton and Margaret’s acquaintance begins by completely misunderstanding each other, only able to view each other through preconceived notions of the other “class” of people. When Thornton begins to see and understand the sympathy for the working class behind Margaret’s proud scorn of the masters, and Margaret learns the sense and intelligence behind why Thornton makes the decisions he does, and how they have led him to his current success and capacity to employ – and thus feed and clothe – the many workers that he does, only then do they see each other for who they really are. Thornton and Higgins reconcile in a similar way; Thornton visits Higgins’ home and sees the orphans he cares for, and gives Higgins the opportunity to speak to him face to face. Elsewhere, upon meeting Thornton and actually hearing what he has to say, many from the South (such as Henry lennox) change their minds about him. The final picture of Thornton and Margaret’s reconciliation is when she offers to collaborate with him financially in order to save his mill. At this point Thornton realizes Margaret has come to understand him and returns his affections. However, Gaskell is a masterful, intelligent writer and a closer reflection on the novel reveals that Thornton and Margaret’s characters are not fully or neatly explained by “North” and “South.” For, we get the sense that Margaret is somewhat atypical of the South, and Thornton likewise of the North, in that they are exceptionally noble people, who represent the best of their worlds. Additionally, by the end of the novel, neither Helstone (the South) nor Milton (the North) themselves seem the same. The former has gained some vices and the latter has lost some. The novel North and South reflects the complicated reality of life, where issues are never simple; there is both good and bad in the mill workers and the mill owners, and there is suffering in both the North and the South. The contrast between the North and the South, then, blurs and erodes as the protagonist lives new experiences and grows and matures in her thinking. The narrative of North and South contains many scenes of disappointment or grief. Very little positive or uplifting happens to Margaret, except her friendship with the Higgins and the sense of community it provides. Even the dreamlike entrance of Frederick is cut very short. He never returns, never overturns his death sentence, and four close family members or friends of Margaret die. Sometimes it can be tempting to think that “back then” people dealt with tragedy and grief better because death occurred more often, but Gaskell’s characters still experience significant despair and depression upon the loss of a love one. Gaskell’s novel shows, contrary to the timeworn sentiment that faith is a kind of “crutch” to cope with hard times, that Christians can feel the farthest from God in the midst of suffering. Even so-called “applicable” scriptural comforts can seem trite at this time of mental numbness. Consider Mr. Hale a few days after his wife’s death. A former parson whose strong religious convictions compelled him to give up his career and home, he finds little solace in his faith upon the death of his wife, with what faith he yet clings to, as he admits God’s will in this matter appears entirely obscure to him. His daughter mechanically repeats Bible verses to comfort him, and in the familiar repetition he finds only a modicum of comfort. Mr. Hale knows God exists, but in this time of loss he staggers under the weight of his emotions and grief, and, like any child undergoing discipline, has difficulty feeling the love of his heavenly Father. For Mr. Hale, God’s will has become as hazy, obscure and impenetrable as the masters’, from the viewpoint of the hands. Again, this is not a moment of atheism for Hale. Rather, he is experiencing the natural and “right” effects of death. We would not long for that place where there are no more tears or suffering if such experiences were not awful. These periods of weakness prove the Hales’ faith to be all the more authentic and believable, firstly, because they are relatable, and secondly, because they are natural and true. As humans we can’t help being subject to our emotions, to a degree, to feel despair in our suffering (not to be confused with despairing of salvation itself). Jesus himself felt the real agonies of suffering, forsakenness, loneliness and depression on (and preceding) the cross, crying out to his Father and questioning his will. To suffer is to feel forsaken, because we cannot see the face of God at that moment; not that he is not working (and working at his best – again I think of the cross) but perhaps his work at this time is so profound and holy so that we cannot look upon it with earthly comprehension. As for Margaret, although she walks through the valley of the shadow of death, the deep imprint of God’s law on her heart keeps her faith anchored. Her greatest mental anguish arises from not only regretting lying to the police inspector about having been on the train platform the night Leonards dies, but from discovering that Thornton knows about her lying, which fills her with shame. Even though God’s will may at times be obscure, his laws (the part of his will that he has revealed to us) prove his goodness, Margaret knows full well, and it is right for people to obey them. For Thornton to think that she had abandoned her faith is more than Margaret can bear, and it is at this point that she realizes her love for him. North and South begins as a novel of clear, seemingly deep contrasts that eventually begin to dim and complexify as the protagonist grows in knowledge and understanding of the world and realizes her own prejudices. These juxtapositions of alien classes of people (North and South, factory owner and employee), with all their antithetical philosophies, customs, manners, fashions, landscapes, architecture, types of labour, leisure activities and more, are crocheted by the narrator in exquisitely fine detail for the reader to ponder, as exquisite as the lace fabric some of the characters wear. The Victorian novelist is inarguably the master of detail, and Gaskell is one of the best. 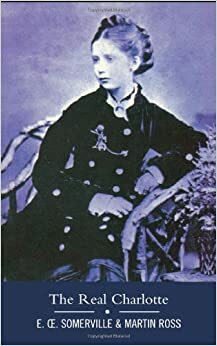 I believe North and South to be her most excellent novel, and her discriminating, profound and often poignant descriptions of people, places, thoughts and emotions make this a book for the soul (the beautiful romance helps, too). Margaret Hale, from the most recent film adaptation of the book (on the right). The actress’s fully absorbed, introspective look betokens the intellectual nature of the novel; there is just so much to think about, in North and South, for both the protagonist herself, whose world is dramatically upended by change and sorrow, and the reader, who shadows her through Gaskell’s lifelike, transporting description. Unfortunately, the film all but erases the Christian faith that is Margaret’s guiding light and sure foundation, and which anchors her soul amidst upheaval and grief. Elizabeth Gaskell was the wife of a Unitarian minister, and often wrote about the problems of industrialization, especially for the poor. Her desire in North and South, as well as in Mary Barton, was to see the factory owners and workers come together in the spirit of Christ in order to overcome their differences. Mary Barton is one of the quintessential novels of industrial 19th century England. It’s a novel about class division: the factory workers vs. the factory owners. The rich and the poor were so distinct from one another they spoke in different dialects, wore different clothes, and lived in different sections of the city. This era predated labour laws, and workers slaved long hours in unsafe conditions, sometimes on empty stomachs, as their pittance wages barely or hardly covered the cost of living. Workers and employers gazed at each other across the great divide of have and have-not and felt little sympathy for each other. Little wonder, then, that animosity should sprout, fester and erupt, as it does in this novel. Mary Barton puts faces to this class struggle. The young heroine Mary must choose between a young man of her own class or the son of her poor father’s rich employer. Conflicted by her secret struggle, Mary watches in horror as her father is tried for murdering her rich beau at the command of his trade union. Her world in tatters and the brink between the classes growing ever wider and their relationship ever more volatile, Mary leaves home to exert all her efforts to bring things to rights.